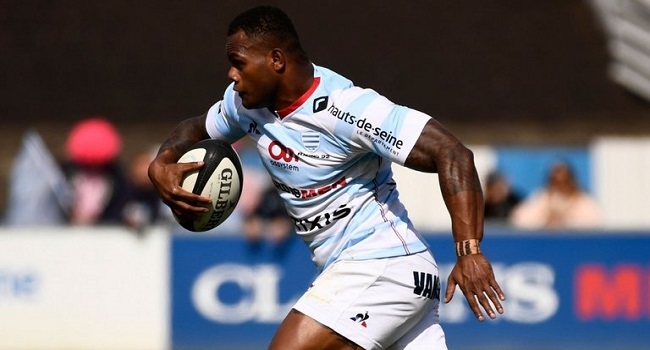 Fiji-born wing Virimi Vakatawa scored two tries for Racing 92 as they overcome a 24-23 narrow victory over Grenoble FC in the Top 14 Rugby competition yesterday. Vakatawa scored their opening try in the 8th minute of play and ran over the try line on the 30th minute to score his double. Looking at other games, Bordeaux Begles beat Toulon 35-25, USA Perpignan lost to Castres 12-16, Toulouse won against Paloise 15-13, Montpellier defeated Agen 18-15, and Clermont hammered Lyon 31-11 while La Rochelle beat Stade Francais 14-12.